Bring your Creativity to the next level with 3 days of Hands-On Embroidery fun! 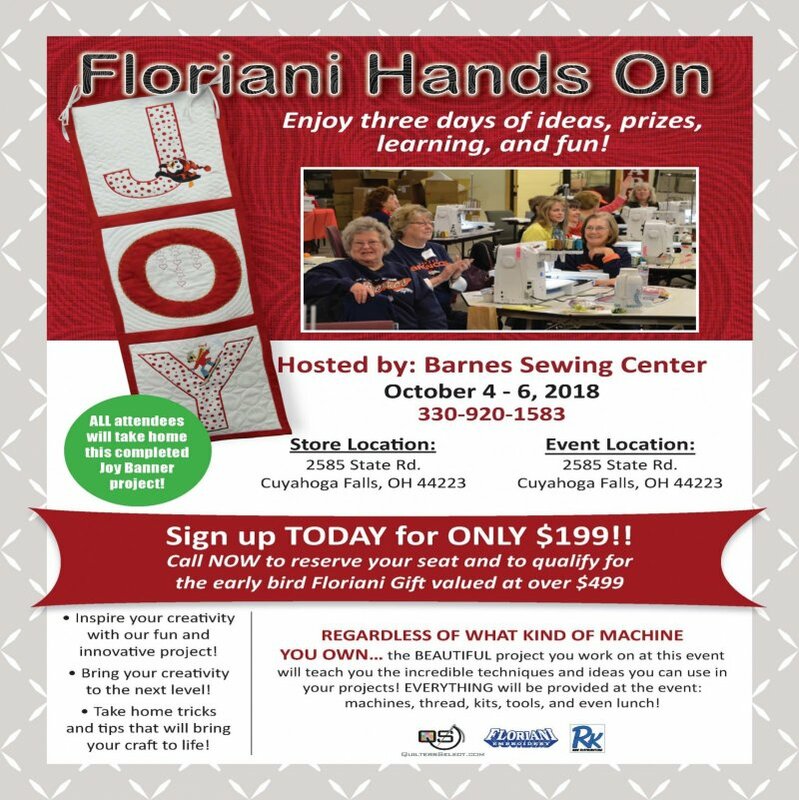 Join us and a Floriani educator for ideas, prizes, learning, and fun and all you have to do is show up! This event involves sewing, embroidery and even the Brother Scan n Cut! Each attendee will leave with a completed project and tons of knowledge to take back home with you to advance your embroidery skills. Barnes will provide Machines, Fabric and Supplies needed. Call 330-920-1583 to or stop in to sign up!